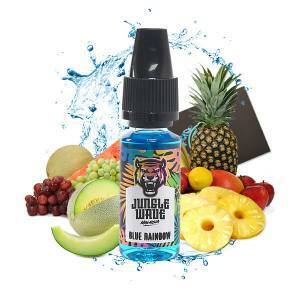 Jungle Wave is a range of concentrated aromas destined for its own DIY E Liquids for the Electronic Cigarette. The Jungle Waves are typically Malaysian. They are sometimes fruity, fresh, original and additives. Elaborated in Malaysia, the Jungle Wave concentrates are conditioned in France for total traceability and a in compliance with current standards. They are availabl in a 10ml bottle composed of Propylene Glycol and aromas. 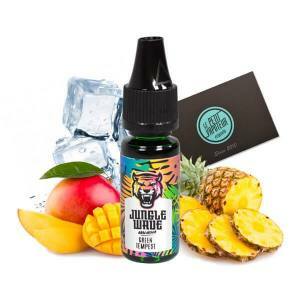 Jungle Wave is a range of concentrates to be discovered. 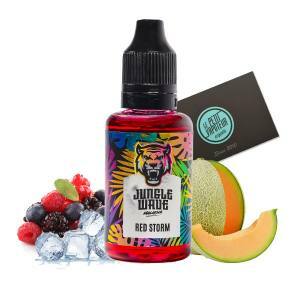 Savour the perfect mixture of Red Fruits with the Red Storm Jungle Wave in 30 ml ! Refresh yourself with the Jungle Wave Concentrate with Mango and Pineapple ! 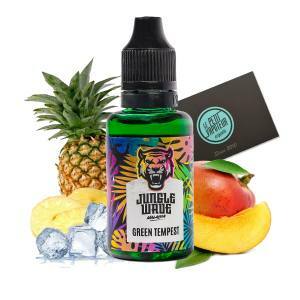 A mixture of Fresh Melons, Pineapple and exotic fruits.